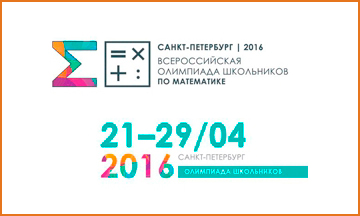 Happy to share with you the success of Russian schoolchildren, who had gathered in Saint Petersburg at the all-Russian school Olympiad in mathematics, held at the end of April 2016! The company "Auto Management" was one of the key tasks is to organize and provide transport services for the event. In the competition participated students grades 1-11 in an amount of about 500 people, and there were delegations from China and Bulgaria and the jury. During the whole period of the event we provided a comfortable travel on buses and vans, as well as individual meetings on the automobile. For the safe movement of the column of participants was organized with the support of the traffic police. And companies AM not only a dedicated personal project manager, but also supervising field coordinators. And despite the short time in preparing for this event all was successfully held. I want to congratulate the winners and take this opportunity to invite you again to visit!